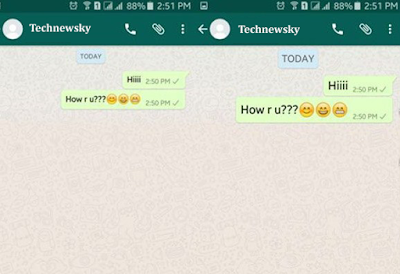 Popular messaging application “WhatsApp” is more user friendly to be great feature include into your apps. Implementing new font style update, this feature lunch or roll out for updated version. This font style to be same windows fixedsys. This features to be use on iOS and Android users. Android and iOS user to be use on first of write any message to start one on back-quote symbol (`) three time and also end of this one. 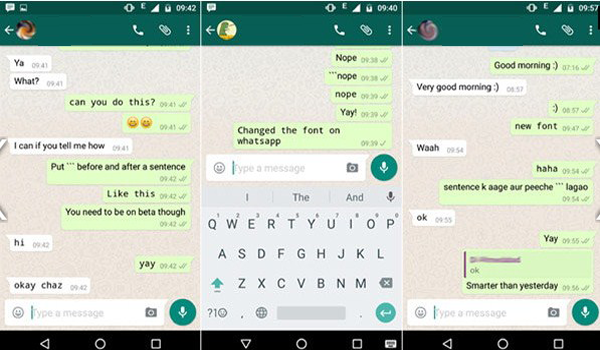 This kind of command to provide in your chat to get new kind of font feature to display on screen. 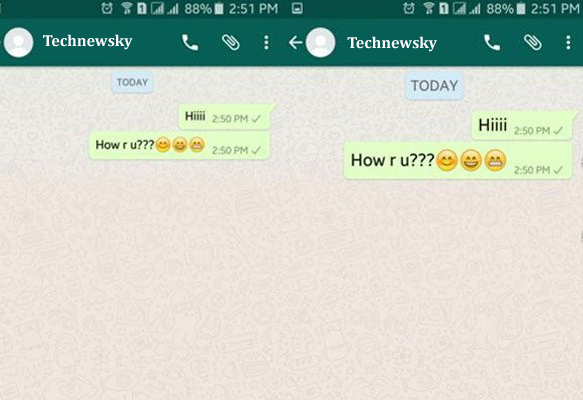 ‘’’Hello’’’ to write this way. Also, WhatsApp in coming soon in iOS Notably to new feature of roll out. This feature user to enjoy music with share to another groups. 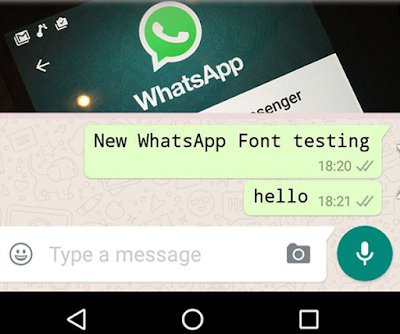 Android and iOS users to implement blog font in your chat to use one time Asterisk sign (*) input your sentence. How to use italic font! 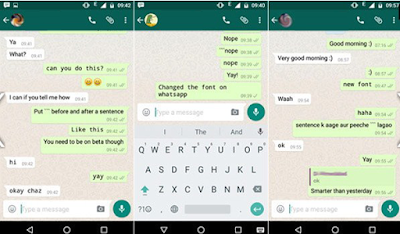 Android and iOS user to use italic font when use starting and ending word underscore sign (_) one time implement in chat. This kind of activity done to be display font in italic format.